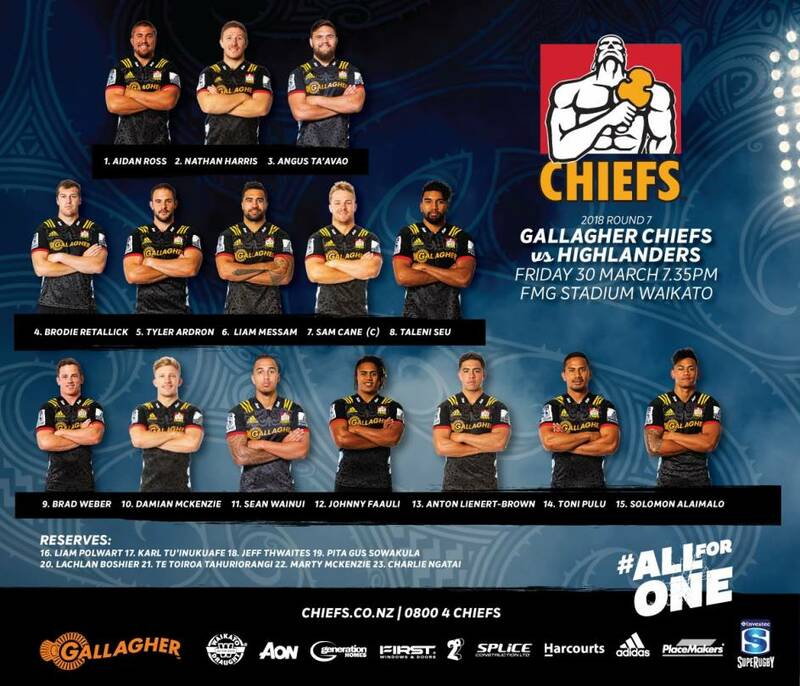 The Gallagher Chiefs will go into their first home New Zealand derby full of confidence against the Highlanders, after a comprehensive win over the Sunwolves last week in Tokyo, Japan. Head Coach Colin Cooper is excited about what promises to be a monumental Easter clash. Cooper has made three changes to the starting fifteen which set an all time Chiefs high score win of 61-10 against the Sunwolves. The tight five is unchanged, with the only change in the forward pack being the vastly experienced Liam Messam in at number 6. In the backline, Brad Weber will start in the number 9 jersey, Solomon Alaimalo moves to number 15, and Sean Wainui comes in on the wing. Starting every game so far this season, Sam Cane runs out in front on his home crowd not just as captain, but for his 100th Investec Super Rugby match. “Sam has shown lots of hard work and sacrifice to earn his 100th game, which is an outstanding effort - it’s great to be involved with him on his 100th. He’s an outstanding leader of the group, and doesn't just talk it, but walks it big time on the field”. The clash will be huge at FMG Stadium Waikato this Friday night according to Cooper. Kickoff of this local Easter derby is at 7.35pm on Friday night at FMG Stadium Waikato. You can purchase tickets HERE with prices starting from only $21 for adults and $11 for kids.